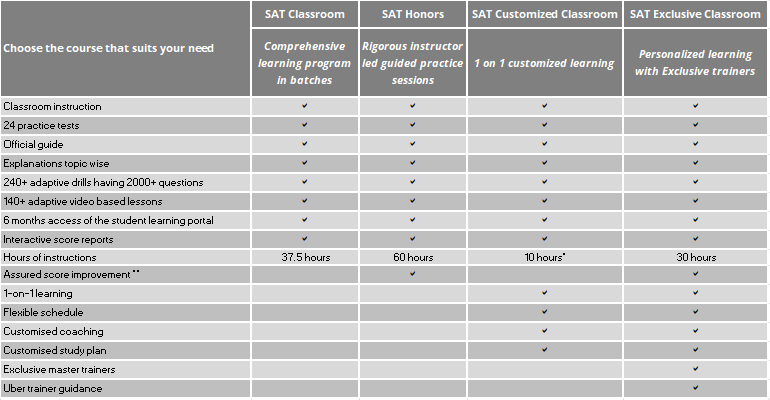 Manya-The Princeton Review SAT Customized course is a unique prep course categorically conceived for students who require focused and individual attention. It is available in online and instructor-led classroom modes. This course is recommended for students who a) have a time constraint for classroom course b) wish to focus either on more Verbal or Quant section c) prefer individualized coaching instead of a classroom course. This prep option makes most of your limited time and prepares you well for test day. The course can be customized as per your needs and performance in Manya’s SAT simulated diagnostic tests. Practice tests to make you test ready. 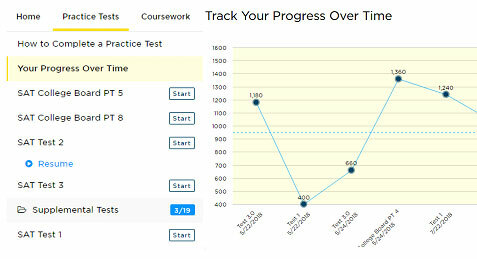 Track you progress over time. Built using advanced technology; our portal has everything you need for a great score.